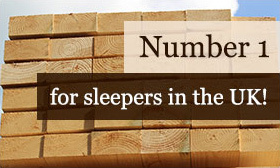 UK Sleepers supplies an exhausting range of garden fence panels, and you’re always guaranteed excellent construction quality, durability and character. 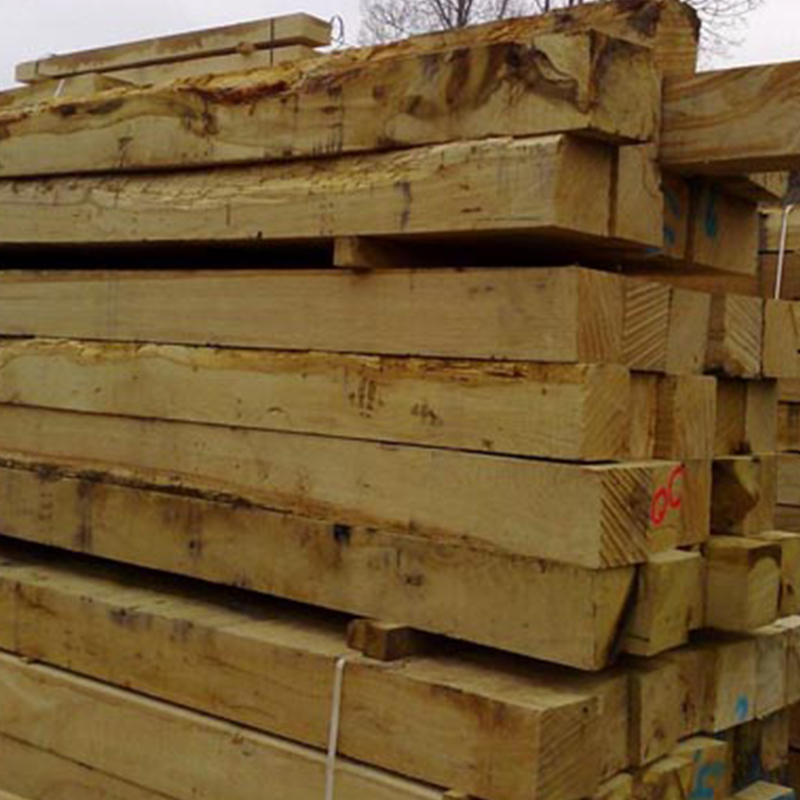 Whether you’re on the lookout for picket, featheredge board, lap-panel or larch-lap fencing, we can meet your needs, whilst we also supply trellis, pegs, stakes and rails. 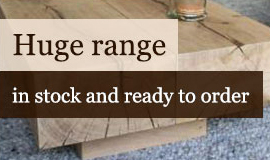 Our oak fences are handcrafted to add style, privacy and personality to your garden, and we stock everything you could ever need to transform your outside space. 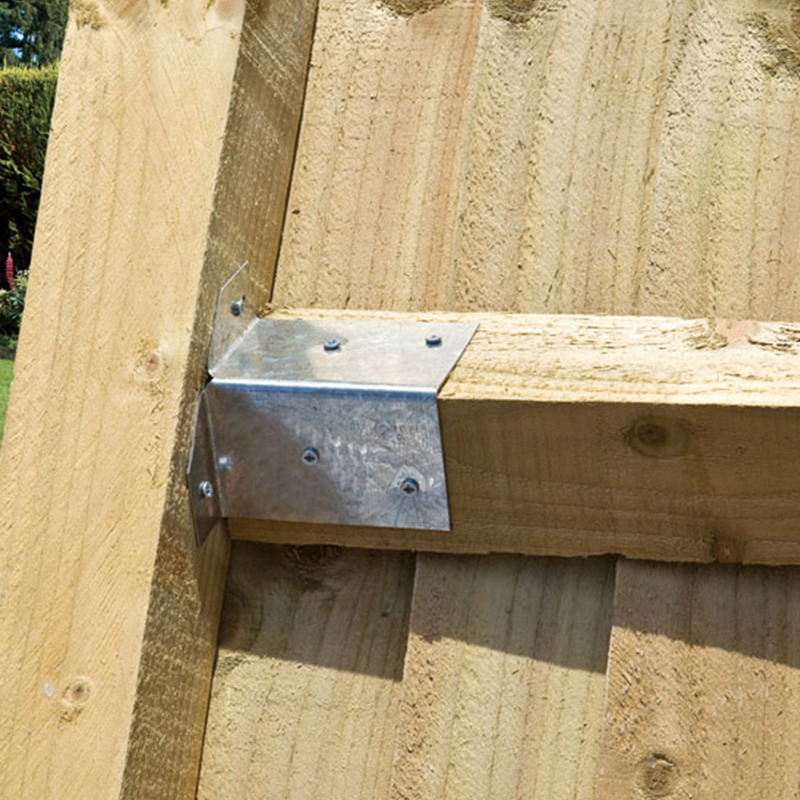 Round fence posts, also known as machine turned and peeled posts are treated for long life in ground contact, while our top quality fresh sawn oak fence rails are long–lasting, and they only improve with age. 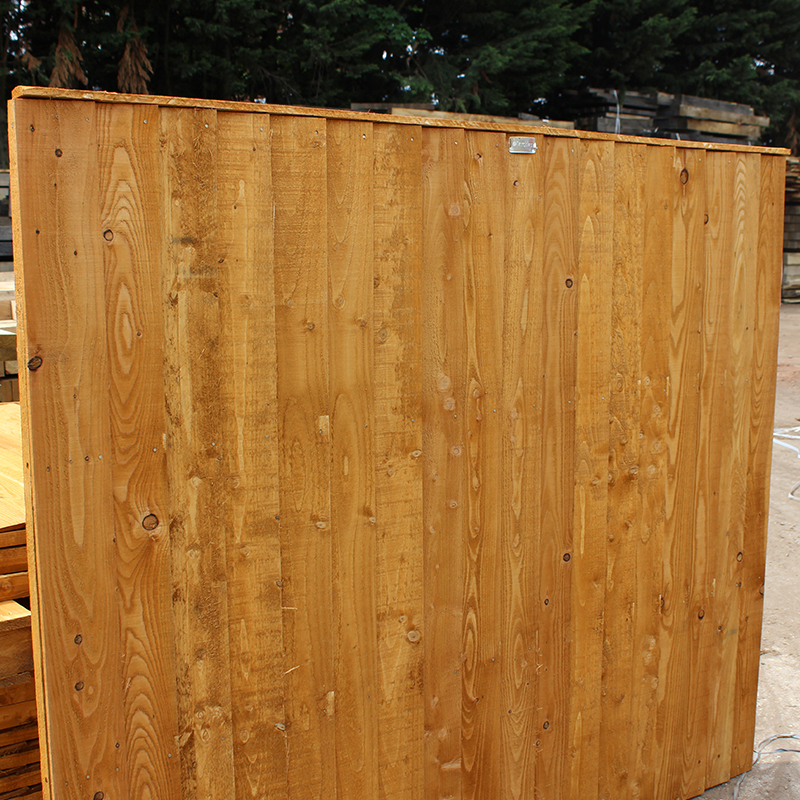 Our popular brown treated softwood featheredge panels remove the need for annual treatment, while there’s the option of a green treated finish too. Our fence panels can work well in contemporary, country and urban gardens, and you can also add a distinctive heavy diamond lattice. These are available in convex and rectangular styles, whilst they’re pressure treated to ensure durability and a longer life. Our lap panel horizontal designs benefit from a planed timber framework, and the slats are cleverly arranged to significantly reduce wind resistance. 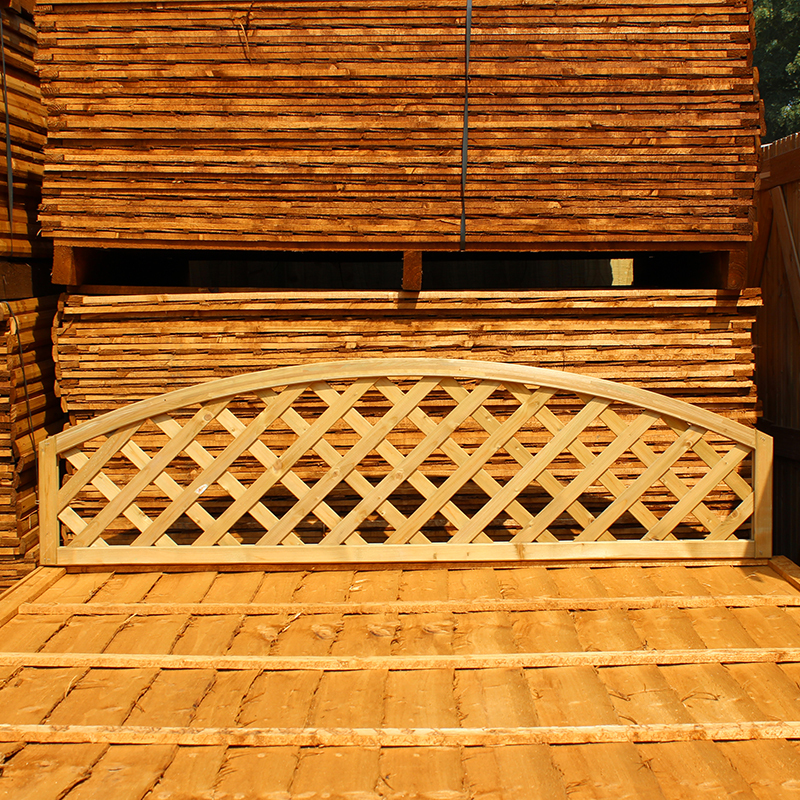 Our larch-lap designs are just as strong, and they’re often purchased with our treated softwood posts. Featheredge boards are ideal if you’re looking to create a traditional style, and these are made from freshly sawn new treated oak. 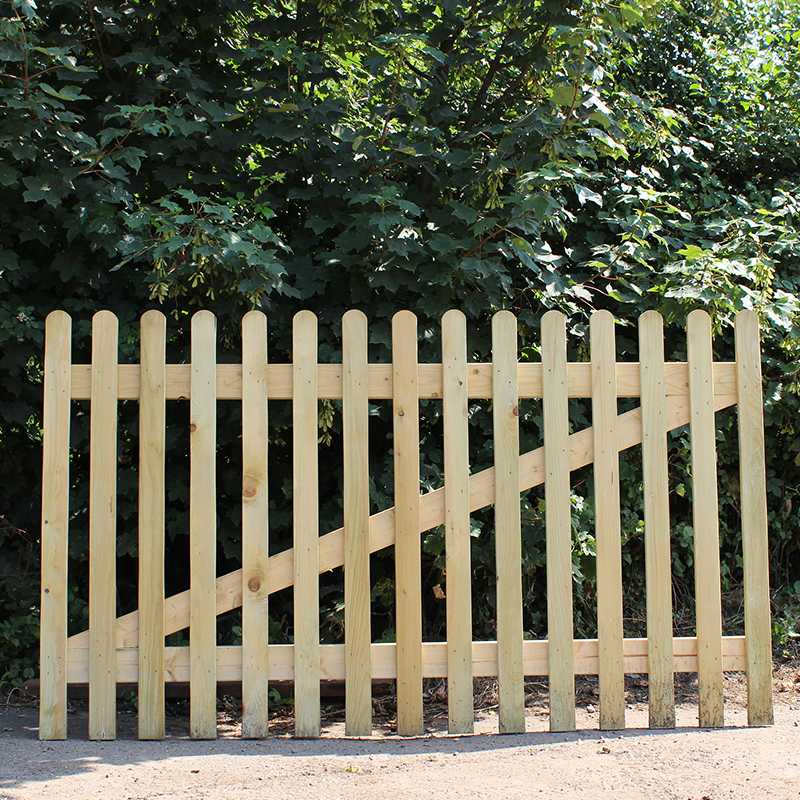 If you require a fence with pedestrian access, then you need to consider our treated softwood featheredge gates. These are ledged and braced, and they’re also available in green and brown. 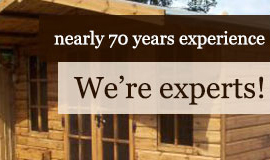 UK Sleepers also stock treated softwood gravel boards and these are coated with Tanalith E to deliver extra long life. 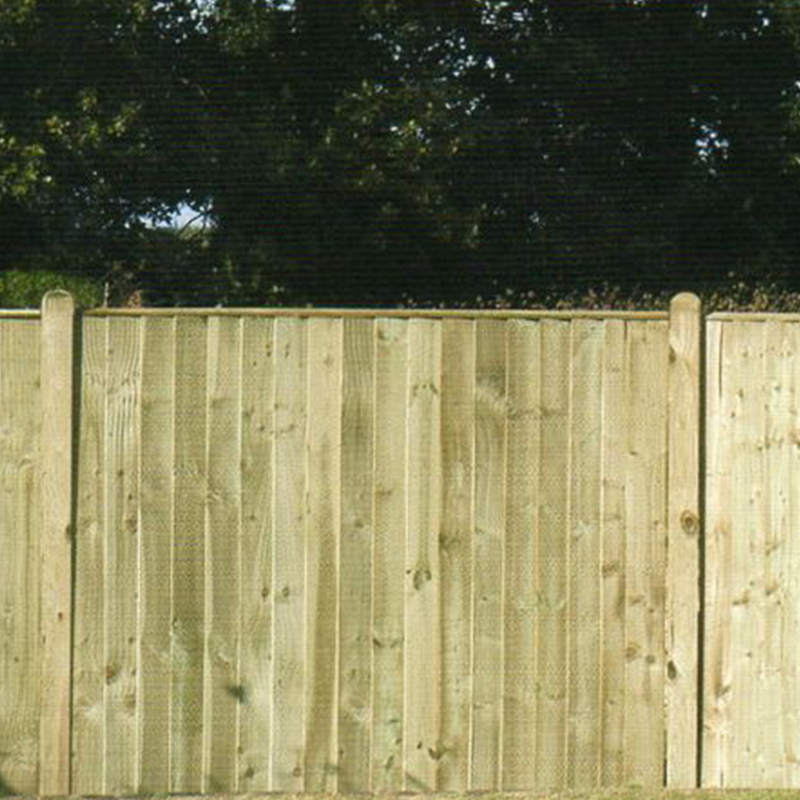 We have every ingredient you could possibly need to erect fencing, and you can view our complete range of items in our product catalogue. 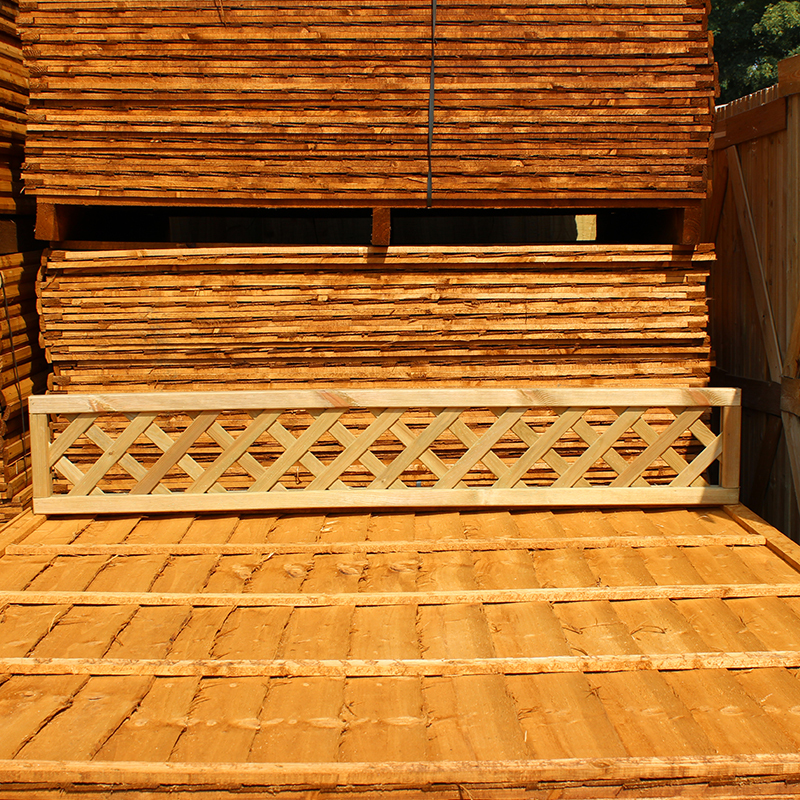 Buying a wooden fence on our website is easy and you can quickly add materials to your basket, selecting the right sizes for your project. If you’re unsure on the items you require, our friendly team are always on hand to help. 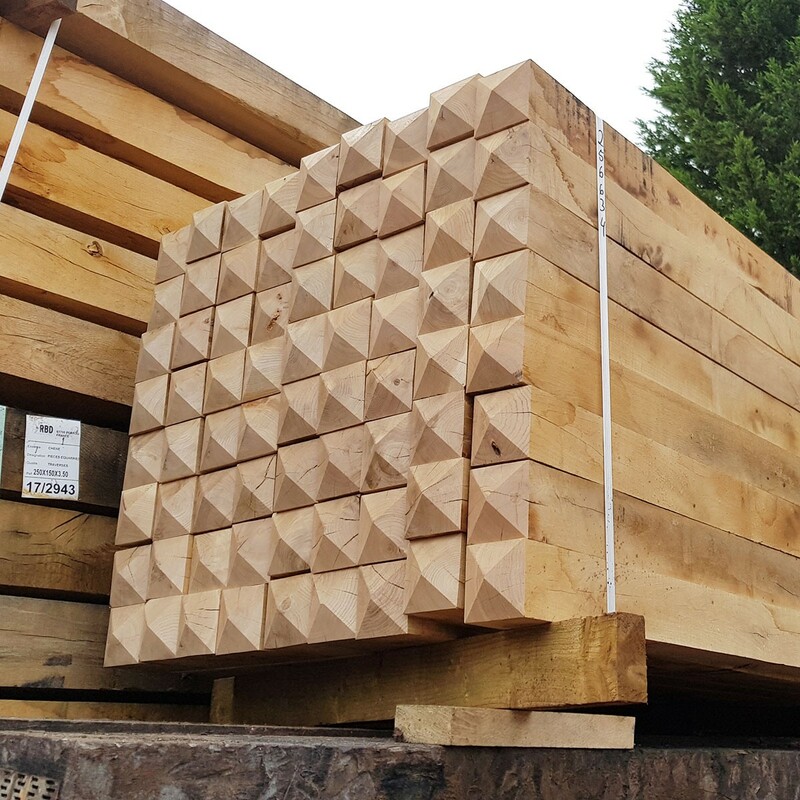 With a large fleet of dedicated vehicles (fitted with offloading facilities) UK Sleepers can offer a mainland UK delivery service, and we always aim to deliver orders within a 10 working day period. You can get an estimated delivery price on our shipping costs page, but for a definite price please use the calculator at checkout. We’ve been trading since 1947 and we operate from three different sites in the Midlands with over 10 acres of warehousing, so we’re well equipped to maintain high levels of stock. 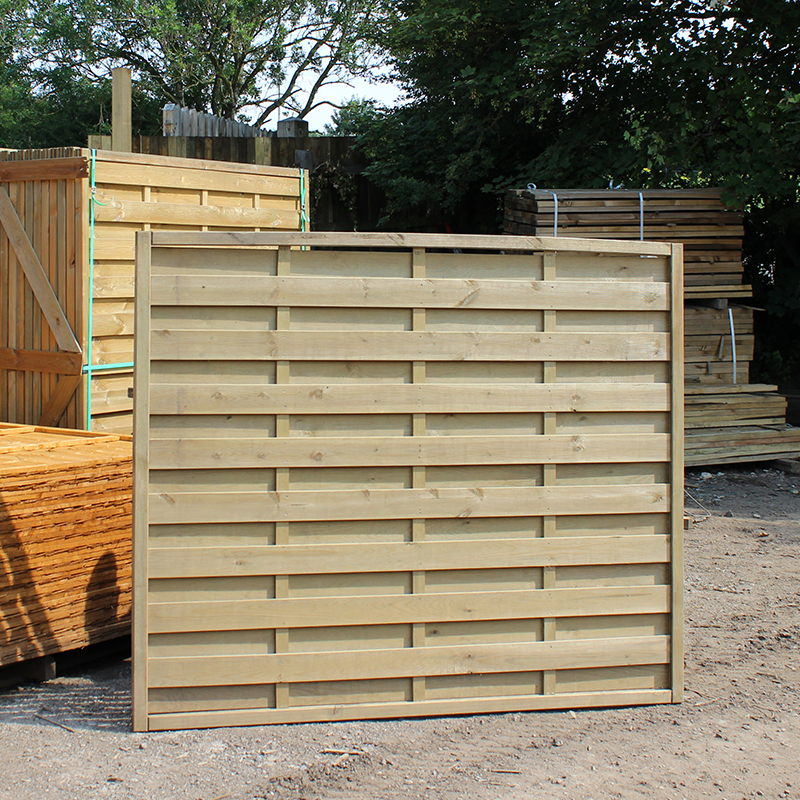 To learn more about our fencing and landscaping products, get in touch with UK Sleepers today on 01536 267107 or email us at sales@uksleepers.co.uk.